Nick holds an MBA from IMD (Valedictorian 1988) in Switzerland and a Russian honours degree (2:1) from Durham, UK. His is a Fellow and Programme Director at London Business School’s Centre for Management Development; Associate Professor of Leadership at Nyenrode in the Netherlands (Professor of the Year for part time MBA 2002, and full time MBA 2003); Visiting Professor of Leadership at INSEAD in France; Visiting professor at EHL (Switzerland) and Honorary University and Founder Fellow at Exeter’s Centre for Leadership Studies in the UK. He has been a Fellow of the RSA and also of the RGS (having led a number of adventurous/mountaineering expeditions around the world). Professional memberships include the IOD and Fellowship of the IMC, and he is a qualified Chartered Management Consultant (CMC). Nick’s consultant/executive leadership development coach experience includes: Managing Consultant of Ernst & Young’s Strategy Consulting Group where he both managed strategic projects around the world (including two bank turnarounds in Hungary and Saudi Arabia, and the first successful privatisation in Poland) and led the Research Associate practice recruiting, managing and mentoring graduates; and the UK Managing Partner of The Vth Dimension Partnership. He now works as a freelance and consults to help organisations catalyse effective change by widening the remit of leadership beyond leaders. Nick’s key speciality is improving organisational-wide leadership effectiveness and enabling effective change by helping to change assumptions about leadership, and engage whole organisations in leading. This role he achieves from a depth of experience of being an academic, consultant, practitioner and author, often having a variety of such roles at the same time. He is a freelance working and co-operating with various organisations. 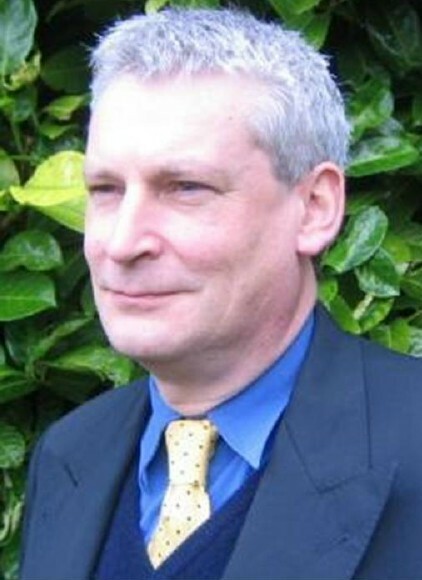 His practitioner experience includes having been a cavalry officer in the British Army where he achieved the rank of Major in his late twenties; the Chief of Staff/Development Director of Gateway/Somerfield Foodmarkets Limited, where he led a team responsible for co-ordinating a major change programme, reporting to the CEO, involving over 45,000 employees and in excess of a £1bn budget, as well as Property Director responsible for £6bn+ of assets in today’s money; the founder CEO of Tomorrow’s Company Enterprises Limited, where he was responsible for developing an innovative strategy and taking a new philosophy into business in a commercial way; CEO and Chairman of a successful music technology start-up; CEO and then Chairman of a new Green Energy start-up and interim CEO of a homeless charity. He also contributes time to charity. Nick’s various publications include: “Practical Business Re-engineering – Tools and Techniques for Achieving Effective Change” which has been translated into several languages. “Chaos leadership and Polyarchy – a counter for Leadership stress?” was published via the Centre for Leadership Studies, University of Exeter. Other book contributions include: “Management Consultancy – a guide to best practice” where he wrote the chapters on “Strategy Formulation Models” and “Implementation” ; “A strategy for the Ecu/Euro” and the RSA’s publication “On work and leadership”. His latest book, “Complex Adaptive Leadership: Embracing Paradox and Uncertainty”, is due to be published by Gower in early 2010.